Inconsistencies in Parliamentary Standing Committee report have worrying implications for the state of India’s China policy. 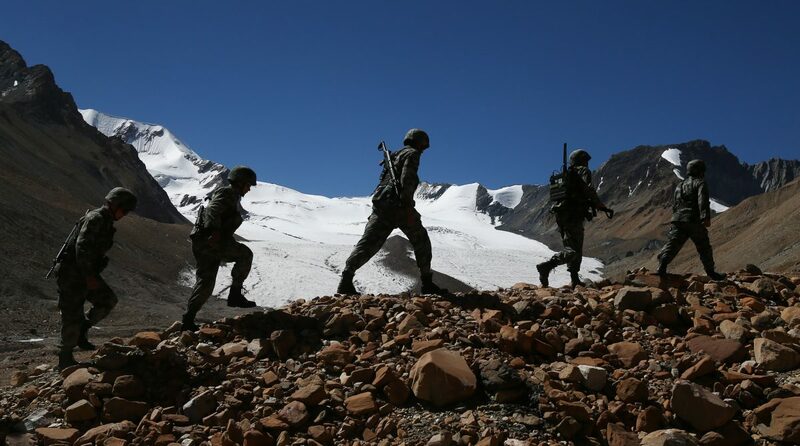 With the release of the report of the Parliamentary Standing Committee on External Affairs on India-China relations, it appears that the Doklam issue has been well and truly laid to rest. But questions still remain over what exactly transpired before, during and after the crisis that dominated headlines barely over a year ago, and why. The Committee has simultaneously commended the government’s defusing of the crisis and expressed concerns over the Chinese presence at Doklam, which implies that the issue has not quite been resolved. In fact, the report goes as far as to say in another section that “it is difficult for the Committee to be content with India’s continuing with its conventionally deferential foreign policy towards China”. An analysis of the Doklam crisis can speak volumes about the unspoken reasoning behind India’s current China policy. After two deferments and much scepticism, the maiden 2+2 meeting between India and the U.S. was finally held in New Delhi last month. Elevating the erstwhile ‘strategic dialogue’, which involved the Indian foreign minister and the U.S. secretary of state, the revised format included the Indian defence minister and the U.S. secretary of defence as well, giving it the ‘2+2’ moniker. The dialogue yielded significant and tangible outcomes that could potentially have a major impact on maritime security in the Indo-Pacific region. Arguably the most important event was the signing of the Communications Compatibility and Security Agreement (COMCASA). This is expected to ‘facilitate access to advanced defence systems and enable India to optimally utilise its existing U.S.-origin platforms’. President Donald Trump was lobbied by immigration senior adviser Stephen Miller to stop issuing visas to Chinese students seeking to study in the United States, according to to a report by the Financial Times. Miller was responsible for the Trump administration’s hardline immigration policy, whose focus has been reducing immigration to the U.S. Miller was behind the administration’s “zero tolerance” policy, which included prosecuting undocumented migrants picked up at the border, and resulted in the separation of children from their parents. Citing three unnamed people familiar with the situation, the Financial Times reported that Miller pushed Trump and other senior officials to effectively keep Chinese citizens from studying at American colleges and universities as a way to crack down on Chinese spying and to punish elite academic institutions, which rely on tuition from foreign students, for speaking out against the president. Taiwanese electronic firms are still more advanced than mainland China's in developing most cutting-edge technologies, but they are increasingly linked to mainland supply chains. This integration could help Beijing move up the production value chains, compromising Taiwan's competitive advantage. U.S.-China trade tensions will likely increase production costs and push Taiwanese-owned, low-end manufacturing companies to move away from China and into Southeast Asian states. Though Taiwan will continue to struggle to form regional, multilateral free trade agreements, it could see more success pursuing bilateral deals with the mainland's biggest rivals. Life didn’t turn out as Wumaerjiang Jiamali had expected. He got the opportunity to leave western China in 2014 to attend university studies in Istanbul. Four years later he is a refugee in northern Sweden. 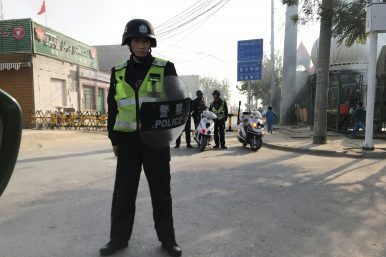 His son is locked up in their home province of Xinjiang, and Wumaerjiang no longer has any contact with the rest of his family. China has pulled out of the next round of ministerial-level talks with the United States, underscoring the continued deterioration of the relationship. From the trade war to the U.S. conception of China as a “strategic competitor,” frictions are building on nearly every front of the relationship. After the United States imposed tariffs on China’s Equipment Development Department over the purchase of Russian military technology, China cut short a visit to the United States by People’s Liberation Army Navy chief Shen Jinlong and postponed a late September meeting between the joint staff departments of the two countries’ militaries. Last week, China also rejected a U.S. request to make a port call in Hong Kong after Washington approved its latest arms sale to Taiwan. “[T]he U.S. side should bear full responsibility for the recent impact on the China-US mil-mil relationship,” Chinese Defense Ministry spokesperson Ren Guoqiang said in the ministry’s monthly press conference in September. China’s recent effort to pose as the world’s savior on free trade may work in a country where the government controls the public’s access to information, but the rest of the world isn’t buying it. China has spent decades flagrantly engaging in unfair trade practices, including intellectual property theft, state subsidies of business, and barriers to foreign competitors. And, as the old saying goes, actions speak louder than words. To the surprise of many, the trade war with China hasn’t halted America’s strong economic momentum. The stock market didn’t even flinch when the recent round of tariffs went into effect on September 24, unemployment continues to fall and economic growth is surging. China, on the other hand, is showing signs of weaker economic growth, slowing investment, and deteriorating profits. Rather than embarrassing itself by peddling its propaganda around the globe, China would be better off putting its own house in order. And a good place to start would be practicing what it preaches in its latest white paper. NAFTA 1.0 wasn’t the terrible deal President Trump said it was, but NAFTA 2.0 is an improvement and, more importantly, it tells us good things about Trump’s skill at deal making. An agreement with Canada needed to be reached. Nine million US jobs depend on goods and services we ship to our northern neighbor. With what they buy from us, Canada is the biggest export market for 36 states. There’s a very modest trade deficit on goods, but when you add in services, we have a trade surplus. The economies of the two nations are closely intertwined, and Canadians are painfully nice. If you can’t cut a trade deal with them, with whom can you do so? So across the world, people took notice when Trump began quarreling with Canadian Prime Minister Justin Trudeau. Mind you, the Canadians seemed to be playing above their weight. They implied that Trump was a threat to democracy, not a good thing to do when you’re trying to cut a deal. 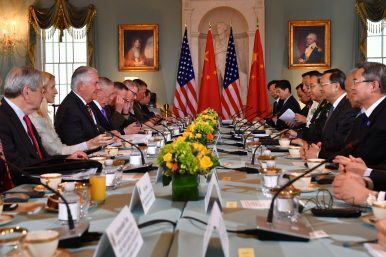 The U.S. withdrawal from the Iran deal, and subsequent escalation of tensions between Washington and Tehran presents immediate challenges for China:higher prices for the world’s largest oil importer , a potential conflict along a key juncture in the Belt and Road Initiative, and heightened risk of nuclear proliferation. Chinese Middle East experts have also raised concerns that overly constrictive U.S. pressure could sideline moderate elements in Tehran, and drive Iran to “adopt a more radical foreign policy ” (采取更激进的外交政策), which would further intensify sectarianism and extremism across an already volatile region. Upon returning from the Singapore summit with North Korean leader Kim Jong Un in June, U.S. President Donald Trump declared the North Koreaproblem “solved.” Many experts did not share his optimism. Pyongyang, they argued, had done nothing to indicate that it was committed to “complete, verifiable, and irreversible denuclearization.” And nothing since then—up to and including the recent meeting between U.S. and North Korean officials on the sidelines of the UN General Assembly in New York—has indicated otherwise. Trump, in other words, was fleeced. The president’s North Korea critics are right: Pyongyang has taken no steps to denuclearize in the last three months, and there’s no reason to think that it will anytime soon. Such critics are wrong, however, to assume that this is necessarily bad news. In fact, Kim’s nuclear arsenal may be more opportunity than threat. It makes a new balance of power possible in Northeast Asia—one that could make the region more stable and reduce the risk of war. Ironically, such a settlement can succeed only if the Trump administration’s North Korea policy keeps failing. Moscow is paying increasing attention to the development and strengthening of its Armed Forces’ conventional high-precision strike capabilities. This encapsulates its cruise missile, coastal-defense, operational-strategic and operational-tactical high-precision weapons. Some of these have been tried and tested during combat operations in Syria. And undoubtedly, such weapons will become more of a prominent feature in Russian military operations in the future: the authorities have promised to fully outfit the Missile and Artillery Troops by 2021 with the latest systems as well as to diversify the types and production of such assets. But at the same time, this advanced conventional weaponry is closely tied to the embellishment of Russia’s so-called “pre-nuclear” deterrence. Since they are so expensive, such systems feature more in actual combat operations in Syria and less in the testing that takes place during strategic exercises; although these kinds of experiments utilizing high-precision strikes also occurred during Vostok 2018 (Voyenno Promyshlennyy Kuryer, September 25). U.S. Cyber Command is in the throes of entering its next era. 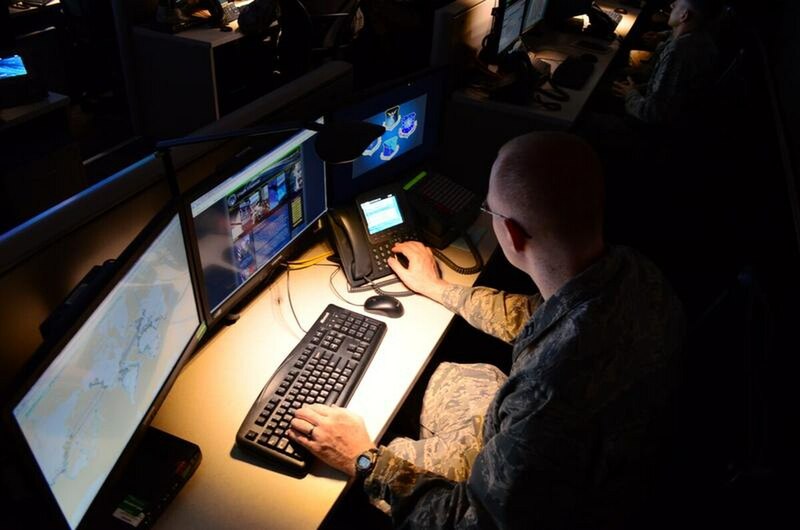 Evolving in fits and starts from its stand up in 2009, the young command has seen the creation of its cyber warrior cadre — the cyber mission force — been fully elevated as a unified combatant command and achieved the full manning and training of its cyber force. Now it is working to equip and maintain the readiness of its organization. Top Department of Defense officials provided senators details on the developments of DoD cyber during a Sept. 26 joint Armed Services Committee subcommittee hearing. “We’ve shifted a little bit from building capacity, how we think about personnel and training to the capabilities,” Lt. Gen. Vincent Stewart, Cyber Command’s deputy commander, told senators. At a baffling moment full of Russian intrigue, made-for-reality-TV summitry, presidential Twitter rants, and trade wars, history can offer perspective, if not comfort. The ancient Greeks often understood our world more clearly than we do. Thucydides’ history of the Peloponnesian Wars between Athens and Sparta, many modern scholars now recognize, was intended as a work of Greek tragedy. It provides a morality play for the ages, offering insights into the foreign-policy challenges facing the United States in the years ahead, even after Donald Trump’s presidency. Athens, the protagonist, is a state like the United States founded on virtuous principles. As its wealth and power grow, however, it seeks to extend its influence beyond its borders. Then, at the height of that power, following the rule of Pericles, not only does Athens begin to lose its democratic character, but it so outstrips others in its military might that it no longer feels bound by the moral values and sense of community that held the ancient Greek world together. Fresh from clinching an updated North American commerce pact, U.S. President Donald Trump on Monday criticized Indian and Brazilian trade tactics, describing the latter as being "maybe the toughest in the world" in terms of protectionism. 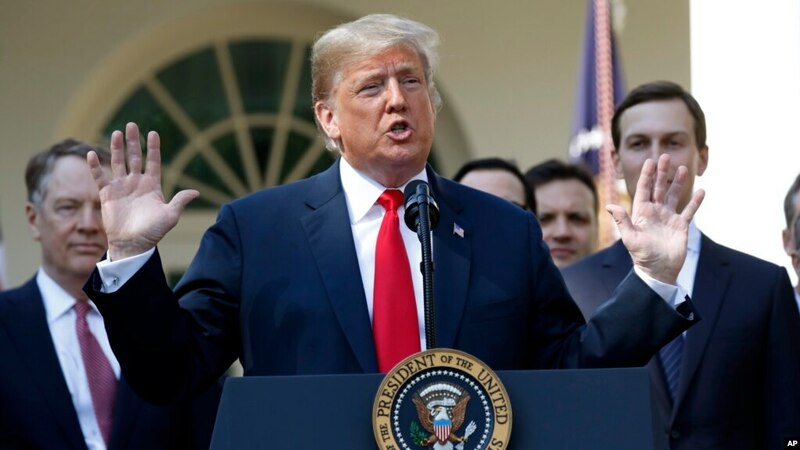 Addressing reporters at a White House event to celebrate the agreement of an updated trilateral trade deal between the United States, Mexico and Canada, Trump added India and Brazil to a growing list of countries that, he argues, treat the world's top economy unfairly in terms of commerce. "India charges us tremendous tariffs. When we send Harley Davidson motorcycles, other things to India, they charge very, very high tariffs," Trump said, adding that he had brought up the issue with Indian Prime Minster Narendra Modi, who he said was "going to reduce them very substantially." MICKLETHWAIT: Thank you very much. I think we’ll begin straightaway. Two things to say at the beginning is that, firstly, this is—this whole conversation is on the record. So it is there. And secondly, you know, I think this is one of the great things about the Council on Foreign Relations is that you can come here and listen to conversations like this that I think in many ways it would be good if more people here were able to listen to it. So thank you to Richard Haass and the team here for setting it up. I’m John Micklethwait and I work at Bloomberg News. And I just spent today at a global business forum. So this is a different conversation. A new report by Admiral Jonathan W. Greenert, the current John M. Shalikashvili Chair in National Security Studies at NBR, provides an assessment of seven key countries in the Indo-Pacific and considers implications for U.S. security concerns. 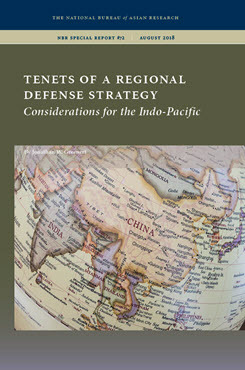 Of the security concerns in the Indo-Pacific, the challenges are particularly acute in five current hotspots: the Korean Peninsula, the East China Sea, the South China Sea, the India-Pakistan border, and the Taiwan Strait. As the U.S. refines campaign plans in accordance with the National Security Strategy and the classified National Defense Strategy, it is essential that commanders and planners understand the diverse impact of the influence associated with the key players. This diversity is rooted in different levels of national power, approaches to strategic culture, and understandings of national security strategies. Like any other technology, social media is neutral, meaning it can be used for good or bad purposes. Social media monitoring tools are helpful in combing through mountains of data on social media feeds for items of interest, but human judgment and understanding are essential to provide context for the data. Because social media will only become more pervasive, those wishing to protect their organizations from attack on social media, or wishing to monitor it for signs of danger, must become familiar with how its various applications work. The countries of Southeast Asia are young - more than half of its 643 million people are under 30 - and together they live in an economy of $2.8 trillion. The ten countries of the Association of Southeast Asian Nations (ASEAN) are moving toward greater economic integration, and the region should be at the tip of the digital spear. But it's not that simple. Hundreds of millions of young people are eager to join the digital revolution. Our Chart of the Week from the latest issue of Finance and Development magazine shows a digital divide in the region. While the Internet has reached most people in Brunei Darussalam, Malaysia, and Singapore, more than 70 percent of people in Cambodia, Indonesia, Lao P.D.R., and Myanmar remain offline and can't fully participate in the digital economy. High-speed broadband is even more scarce. ASEAN trails China, Japan, and Korea. Singapore is the sole exception. On Saturday, September 29, Microsoft launched the Digital Peace Now initiative, a campaign that aims to get governments around the world to agree on rules for the use of state-sponsored cyber-weapons. The Digital Peace Now campaign was announced at the seventh Global Citizen Festival that took place in New York's Central Park over the weekend. Along with the on-stage announcement, Microsoft also launched an online portal where users from all over the world can sign a petition in support of Microsoft's efforts. Agreements between countries to limit the use of state-sponsored hacking cyberattacks. Where battlefields and crime scenes were once limited by physical geography, the world wide web has opened up a space for strife that is borderless and multidimensional, while being dangerously interconnected. Such widely reported cyber operations as North Korea’s criminal hacks, the United States’ deployment of offensive worms to disable Iran’s nuclear programs and Russia’s use of sophisticated cyber strategies to influence Western elections are barely the tip of an expanding iceberg. Despite being a borderless space, the web requires no passport or vessel to navigate, enabling both attacker deniability and/or proxy attacks, with non-military assets such as hackers and criminals being weaponized by states. Vulnerabilities are multidimensional and worrisome: Personal information linkages to national infrastructure put actual national security in peril. We need to stop watering down the language describing how Russia hacked the 2016 election and put Trump in the White House. No shots were fired, but it was an act of war. Cyberwar: How Russian Hackers and Trolls Helped Elect a President argues that interventions in the 2016 presidential election by hackers and trolls likely tipped the Electoral College toward Donald Trump. The hackers, tied to a Russian agency, gained unauthorized access to stored Democratic emails, data, and memoranda and distributed them to the media through WikiLeaks and other vehicles while the Kremlin-tied trolls created imposter social media accounts, videos, and other online content with the goal of undermining public faith in the U.S. democratic process. A grand jury indictment of 13 Russians and three Russian organizations released by the Justice Department in January 2018 noted that the conspiracy was aimed at “impairing, obstructing, and defeating the lawful govern­mental functions of the United States by dishonest means in order to enable the Defendants to interfere with U.S. political and electoral processes, in­cluding the 2016 U.S. presidential election. There needs to be a doctrine for every domain, whether on the ground, at sea, in the air, or out in space. And that goes for cyberspace as well. 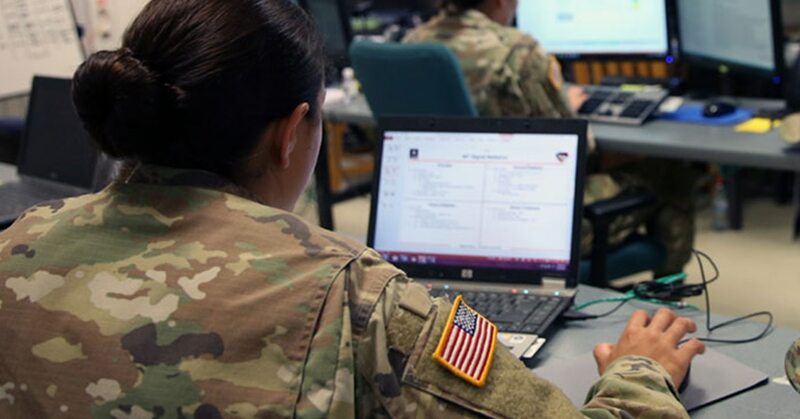 Cyber demands rules of engagement and concepts of operations just like those that exist for the other domains, and the U.S. Army is leading the way to establish the needed doctrine, according to Raytheon’s Bill Leigher, a retired U.S. Navy rear admiral. The U. S. economy drives the world and the dollar is the global currency. Its free market economic system has been adopted globally as has its democratic system of government. Our institutions of higher education are magnets drawing the best and brightest to our shores, many of whom have remained to help lead our dominance in new technologies. Each of those pillars of strength is being challenged and, in response, we are fighting the last war. While we focus on fighting old battles over globalization and world trade, we are at risk of losing a far more important battle, one in which the means of production and distribution will depend on new technologies currently under development to automate and digitize the global supply chain. The critical conflict of the coming decade will be the battle for dominance in the global economy. The winners will be those nations that understand the importance of these new technologies and act to lead in their adoption. Ever wonder why or how the U.S. military forgets how to do counterinsurgency and stability operations? We are witnessing the process happen in real time. There is a common pattern within military organizations, especially the U.S. military. They train for conventional operations against near-peer adversaries but are asked to engage in counterinsurgency (COIN) and stability operations instead. American soldiers spend significant amounts in blood and treasure learning how to conduct those operations, and then forget those lessons as soon as the conflict winds down. A common example is the U.S. “discovery” of COIN doctrine during the War on Terror. The U.S. military’s “new” doctrine on COIN (FM 3-24) was lauded as a revolutionary moment. With the “new” doctrine in hand, the U.S. military could now effectively win its unconventional wars. However, comparison reveals the new COIN doctrine is strikingly similar to that developed during the Vietnam War. Why does the U.S. Military forget how to conduct the types of conflict it is more often engaged in? Leigher said that all of the services should follow suit and work in parallel to fit their specific mission and culture. In June of 1960, KGB officers shot Pyotr Semyonovich Popov in the back of the head after he was abruptly recalled from East Berlin to Moscow. Formerly a field-grade officer in the Main Intelligence Directorate (GRU) of the Soviet military, Popov was the CIA’s most valuable Human Intelligence (HUMINT) asset during the Cold War, providing hundreds of millions of dollars’ worth of military intelligence and the names of over 600 Soviet agents. Despite his invaluable contribution, however, the CIA missed vital clues left by Popov after his arrest by the KGB in 1959 and subsequent use as a double agent. Why did the CIA fail one of its most important sources? Whether through ignorance or complacency, Popov’s handlers had simply become accustomed to the ease of operating with the same seemingly-secure tradecraft that had served them so well in the past.